Companies of all sizes are starting to embrace Microsoft Lync for Unified Communications & Collaboration (UC&C) and PBX replacements. 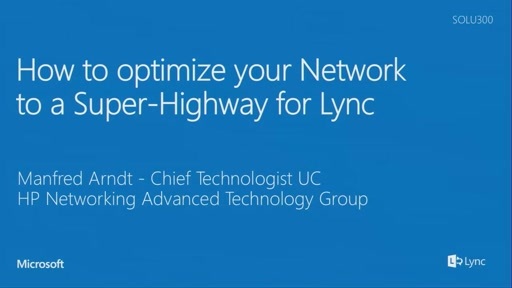 In this session learn about networking and WAN router design best practices, along with Lync migration strategies required to support interactive multimedia, including proper planning, QoS, resiliency and branch survivability. These are critical to ensure success and that your project doesn't stall due to scalability or performance issues as you move from initial Lync Server 2013 pilots to a full-blown Enterprise Voice deployment.